What Internet Resources Can I Use to Plan My Epic Big Island Vacation? You can easily plan a memorable Big Island vacation using just a handful of the best websites on the internet. tripadvisor.com – Because this site is visited by so many people, you can get a wide variety of opinions and reasons that something specific is good or bad. I used to go to expedia.com and travelocity.com for my ratings, but I like TripAdvisor more because it covers places to eat, places to stay, and things to do. Those others cover ratings just for places that will take your money. There are plenty of free places on the Big Island worth visiting that you can read about at tripadvisor.com. Tripadvisor also has a Hawaii specific forum where you can ask specific questions and get answers from those who travel there often. 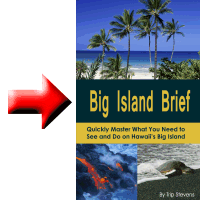 IgoUgo.com– Once at the site, type “Big Island” into the search box and hit the magnifying glass. Once you hit the Big Island site, you can click on one of the tabs: Overview, Flights, Hotels, Things to Do, Restaurants, and Stories and Tips. There are plenty of reviews here to study. Although TripAdvisor is my first stop and my number one place to poke around, sometimes I read conflicting reviews or see questionable ratings and need a second opinion. This is where IgoUgo comes in. While on the site, spend some time looking through the “Stories and Tips” section as you can learn a lot from previous visitors to the island. The stories found here are more detailed and elaborate than on other similar travel sites. vrbo.com– The acronym VRBO stands for “Vacation Rentals by Owner.” This is the site to go to if you need to investigate your home or condo rental options. Once at the site, type “Big Island condo” or “Big Island home” into the search box. At each site, you can check the calendar for availability and prices. There are plenty of pictures and reviews to help you evaluate each place. yelp.com– Once you have decided at which restaurant you wish to dine, you can pop over to Yelp and read some of the reviews from past patrons. The good thing about this site is that the food reviews tend to be longer and more detailed than just “it’s good.” The bad news is that Yelp has a reputation for drawing in those types that like to vent and leave overly negative reviews, so use your own discretion about how seriously to take negative feedback. BigIslandGuru.com – This is a great resource dedicated to the awesomeness of the Big Island. If you want to learn more about Hawaiian culture or the many worthwhile activities to do on the Big island, check this site out. I need to mention one more thing related to internet searches. While the official name of the Big Island is Hawaii, you will have repeated problems doing searches using “Hawaii” as a search term as in many cases it will refer you to any of the eight Hawaiian Islands. To make matters worse, there are many common names like Waimea and Kapa’a that are refer to different places on various islands. To make matters even worse, you still need to do your homework when using the term “Big Island.” You may find people on forums incorrectly referring to Oahu as the Big Island. I’m not sure if the confusion comes from the fact that the capital of Hawaii is on Oahu or what but beware. And lastly, some folks refer to the Big Island as Kona so be prepared for some more confusion.